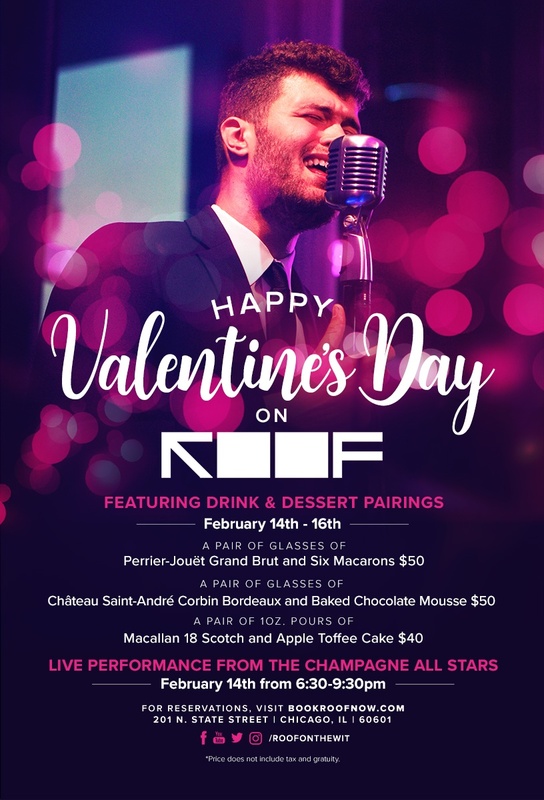 Celebrate Valentine’s with your loved one on ROOF. ROOF will be featuring drink & dessert pairings and dining options. View ROOF’s Food & Drink Menu. On February 14, the Champagne All Stars will be performing LIVE from 6:30pm -9:30pm. You’ve heard the classics but you’ve never heard them with the champagne twist. Listen to the Champagne All Stars. Reservations aren’t required, but strongly recommended.